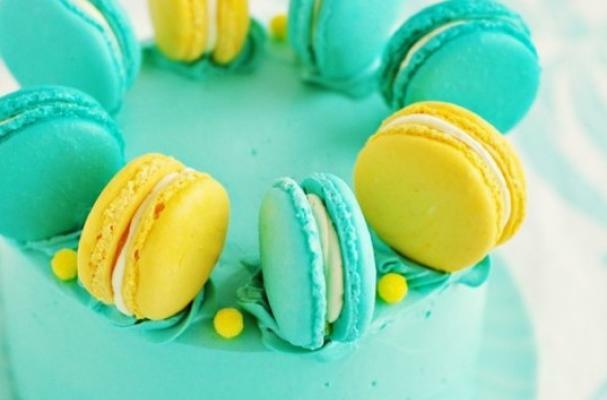 This beautiful teal and yellow macaron from Sweetapolita is a sweet way to celebrate National Macaron Day. A decadent three tier blueberry lemon cake is layered with vanilla Swiss meringue buttercream swirled with lemon curd. This fabulous cake is topped with matching homemade macarons. If you want to make this showstopping macaron cake, click here.